Posted by Douglas Fisher on Friday, September 30, 2016 in News. 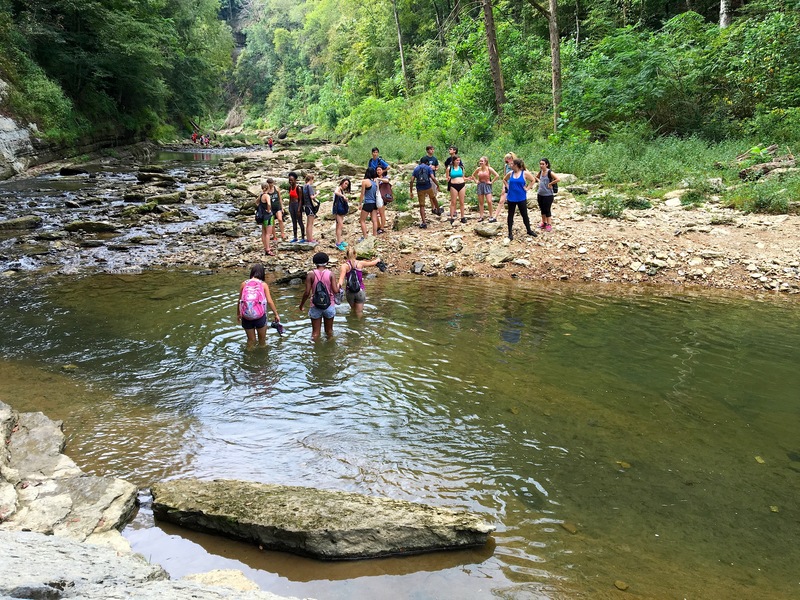 A few weeks ago, the students of Warren and Moore had the opportunity to go out and explore nature. 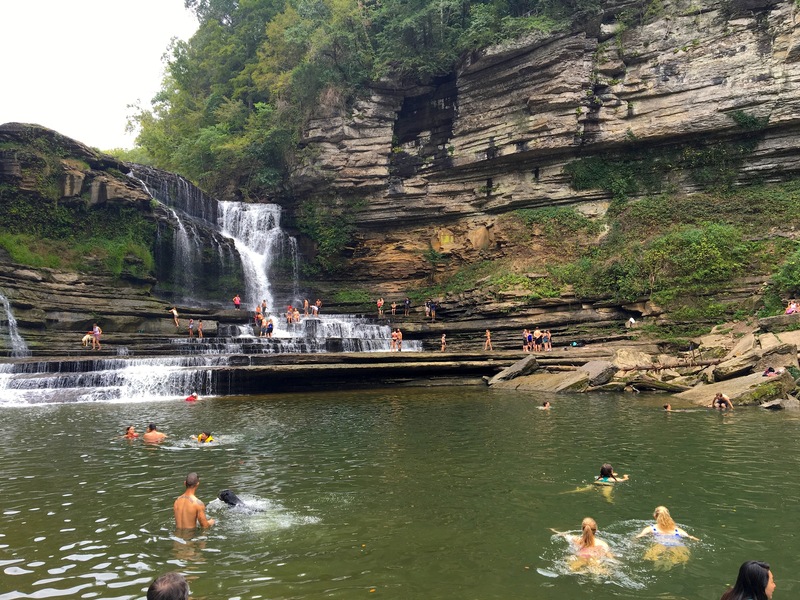 On a trip to Cummins Falls for a hike, this was a chance for students to step away from Vanderbilt’s campus and the city of Nashville and enjoy some time outside. Cummins Falls is a Tennessee State Park about an hour and a half drive east of the city of Nashville. The hike culminates in a gorgeous waterfall. The hike itself starts off dry, with a steep incline. However, once the trail levels off hikers are met with a new set of obstacles including water, slippery walking surfaces, and boulders to maneuver around. 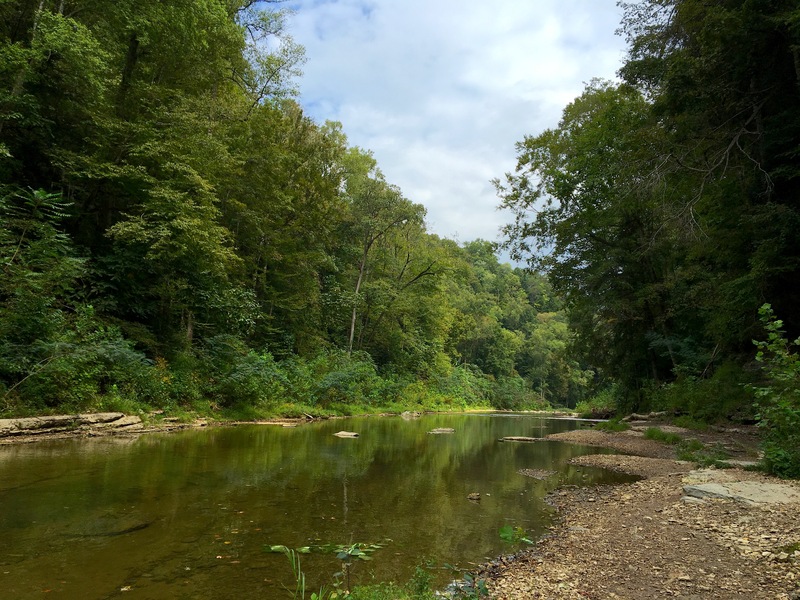 The attendees at this hike included 15 students from both the Warren and Moore College Halls, the four Graduate Fellows, and Dr. Fisher, the Faculty Director of Warren College. Everyone made it to and from the waterfall safely, with only a few unexpected tumbles into the water on the hike. There certainly were a few locations that were a lot slicker than expected! Once the group made it to the waterfall, there was time for everyone to explore the area. Students were told ahead of time that there would be an opportunity for them to swim and they came dressed for the occasion! Time was spent exploring the waterfall and enjoying the cool water on the hot September day! We hope that throughout the year we will have the opportunity to take more students to explore the parks around Nashville and take advantage of the great offerings around us here at Vanderbilt. This was the first outing of the WaM Hiking Club! This blog post was written by Laurel Hogan, the Graduate Fellow of Delbrück Hall. The opinions expressed herein are Laurel’s, and do not necessarily represent those of Vanderbilt University.